I’ve always been a book worm and love nothing more than curling up with a book. This doesn’t happen that often now and I mainly just read before I go to bed. My girls have followed after me and they love to read and listen to stories. Storytime is one of my favourite times of the day, I get to snuggle with my girls and either read to Holly or listen to Alice read to me. 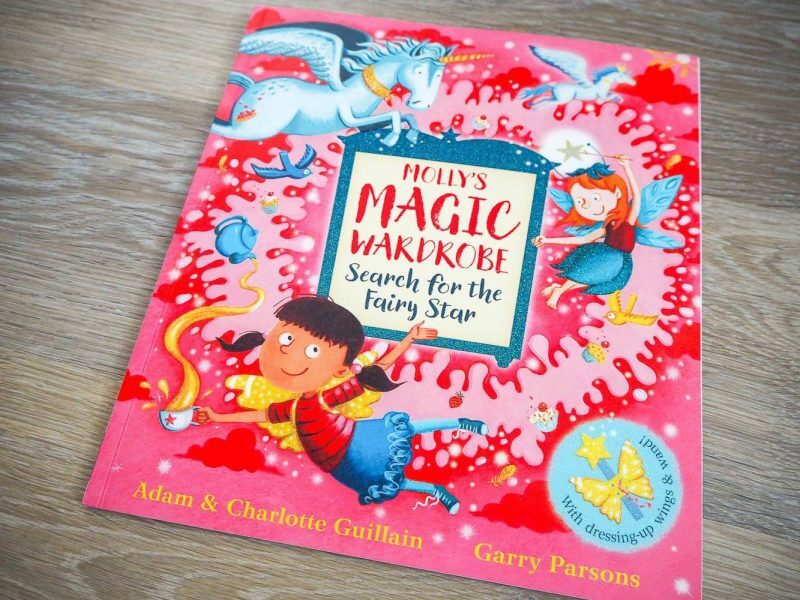 The girls are at a great age at the moment, where they can enjoy the same types of books and this was definitely the case when we were sent, Molly’s Magic Wardrobe…Search for the Fairy Star. Right from the start the girls were excited to read the book, with it’s bright engaging cover. Holly spotted straight away that inside the front and back cover there was a dressing up wand and fairy wings. She had them straight on! With our little Holly all dressed up as a fairy it was then story time. Holly loves it when Alice reads her a book and it totally melts my heart watching them. 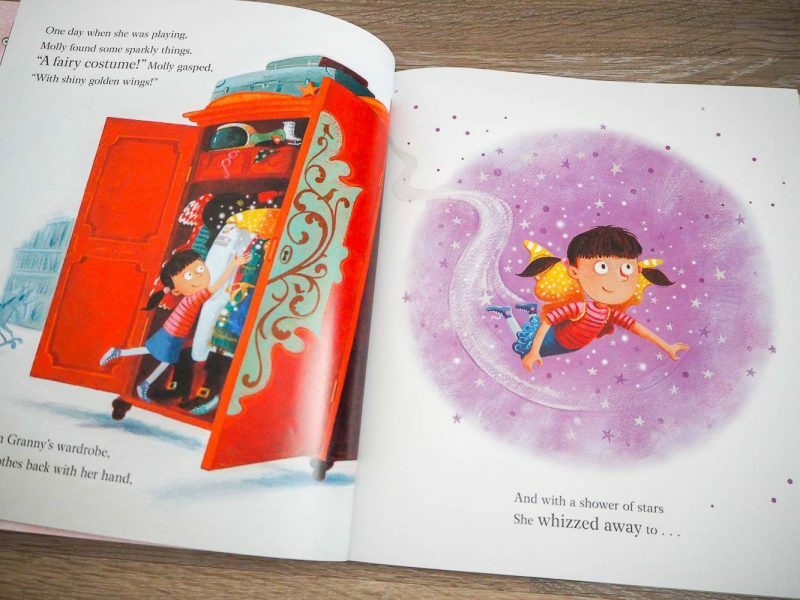 The story of Molly’s Magic Wardrobe is all about the day Molly was at her granny house and inside a wardrobe she finds a fairy costume with golden wings and just like that she found herself in Fairyland. She meets Flo a fairy that was in an awful fix. Her wand had lost it’s star and she couldn’t do any spells. Molly said that she would help her find it. The story takes you on adventure to find Flo’s star. They meet a giant, a friendly one, who guides them on their way. They meet a wolf, that isn’t a scary one and a witch who isn’t frightening. 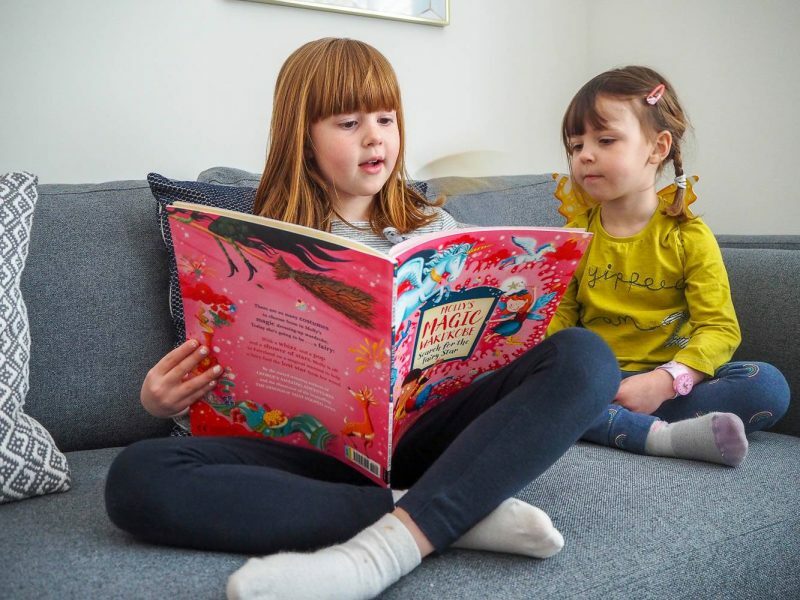 I love that the book shows children that they are not always scary and nasty characters in books. I won’t spoil the ending for you, but it’s safe to say that it all ends well. Molly finds herself back in her granny’s wardrobe and she quickly puts the fairy costume away. The girls loved the story, it was engaging, beautifully written and with gorgeous illustrations. It’s now a firm favourite in our house and when Holly is wearing her wings, we have to call her Molly. I love it when a book rolls over into their everyday play and Holly loves being Molly. Disclosure: We were kindly sent our book and I was compensated for my time in return for an honest review. All views, opinions and photos are my own. What a lovely book! 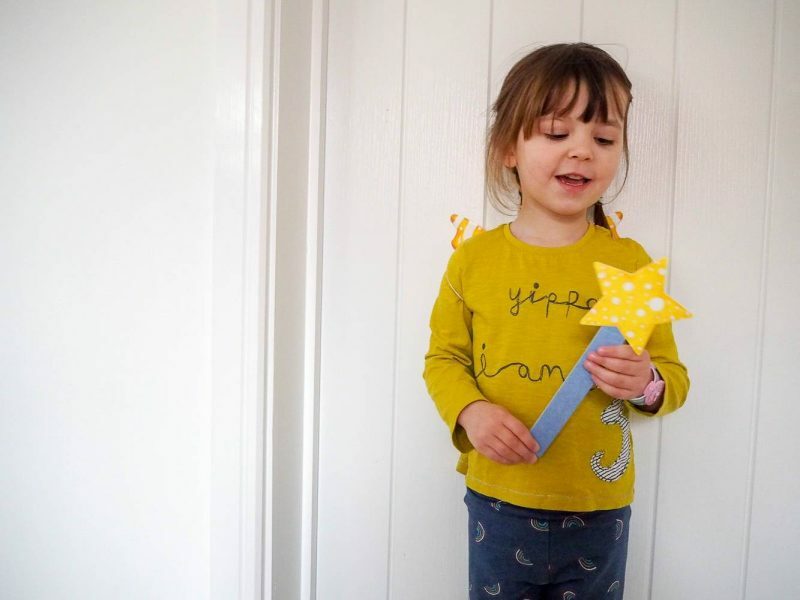 We love story time and any props we can use to make it more magical is even better! I think it is quite important to dress up as a fairy for a book about magic. She has the right idea! This book looks ace! Going to have to show my sister this post for her kids. Ah this sounds lovely and a really nice spin on magical creatures which makes a nice change! Oh this sounds like a wonderful read. I bet my daughter would love it! We have this book, it’s so lovely isn’t it? My girls are obsessed with all things fairies! Such a colourful book, I have no doubt how encouraging it would be to young readers. Sounds like a lovely book and good for little ones. My niece would love it I’m sure. This sounds like a book my daughter would LOVE – book props – i love it! 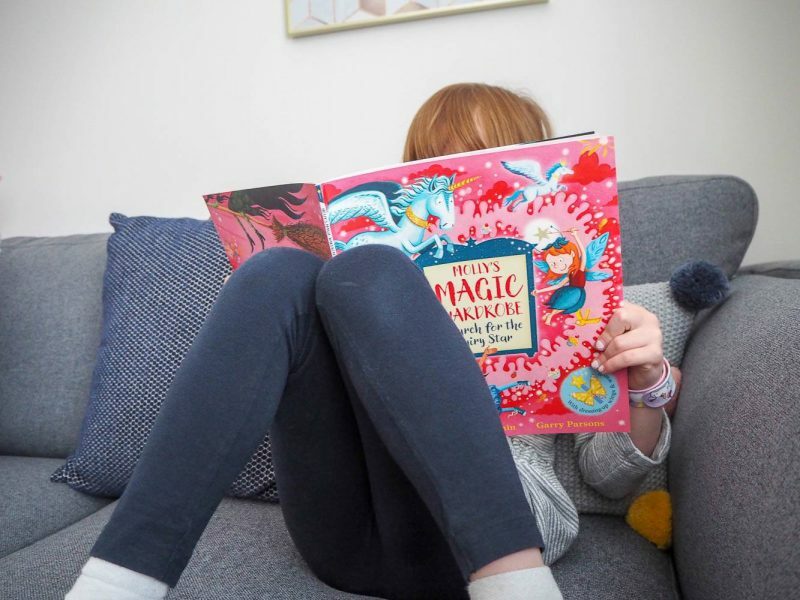 The book looks fab, I love that you get little fairy wings and wand with it too. Alice reading the book to Holly is so cute! 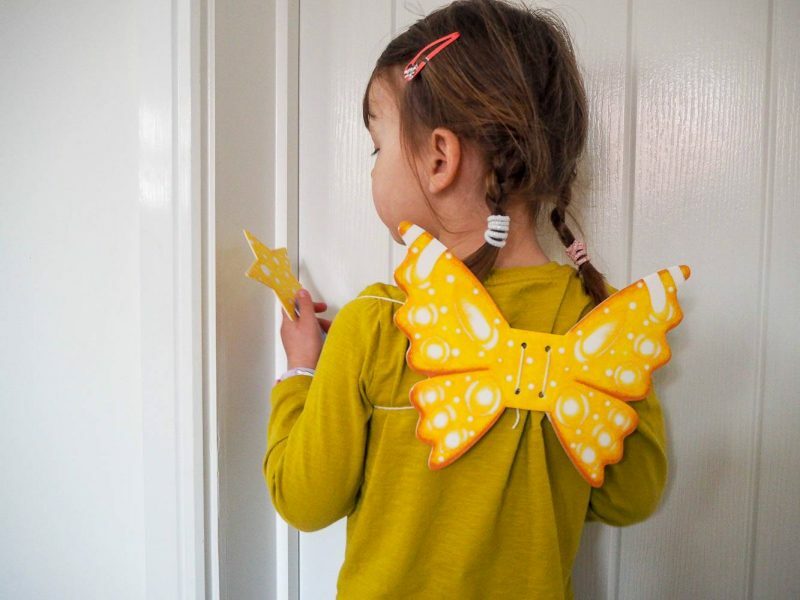 I love that it comes with little wings too – how cute! 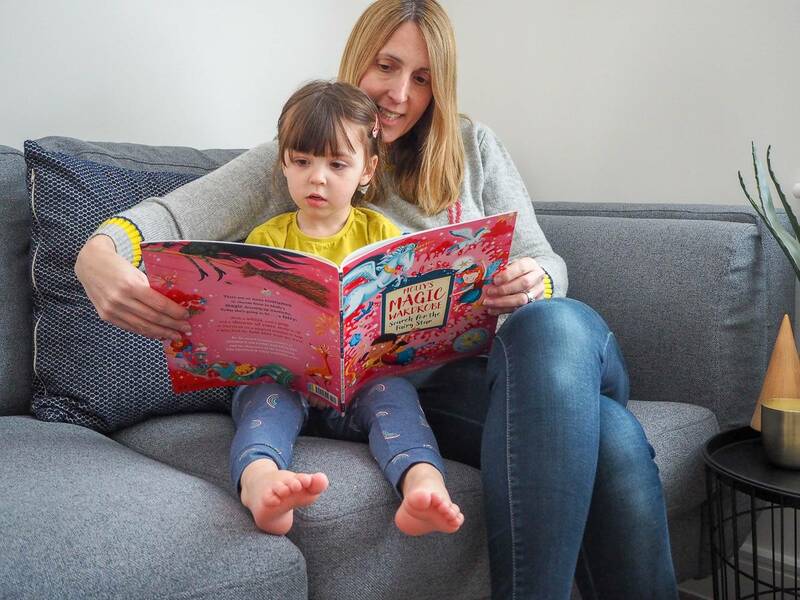 There is something extra special about a really big book like this one when you are little, with lots of bright pictures! I love the sound and look of this book. It is super affordable too. My kids would love it.